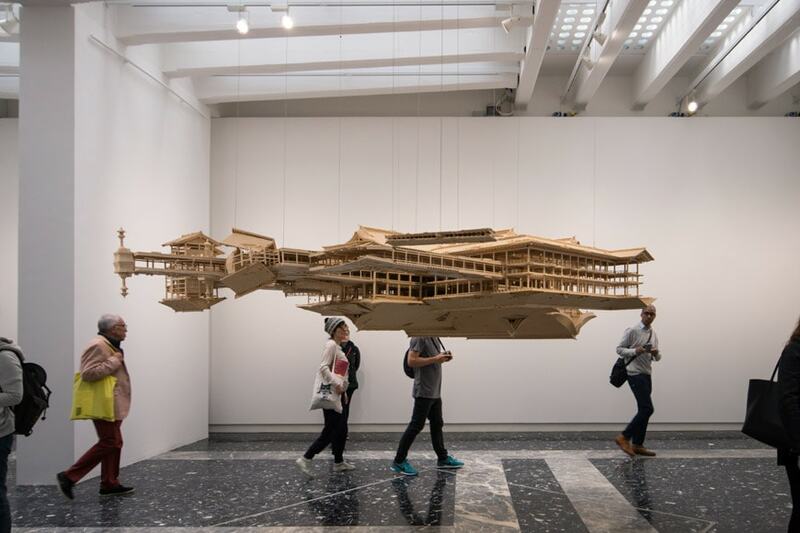 The Japanese pavilion at the 57th Venice Art Biennale presents a solo exhibition of artist Takahiro Iwasaki (b. 1975, Hiroshima). 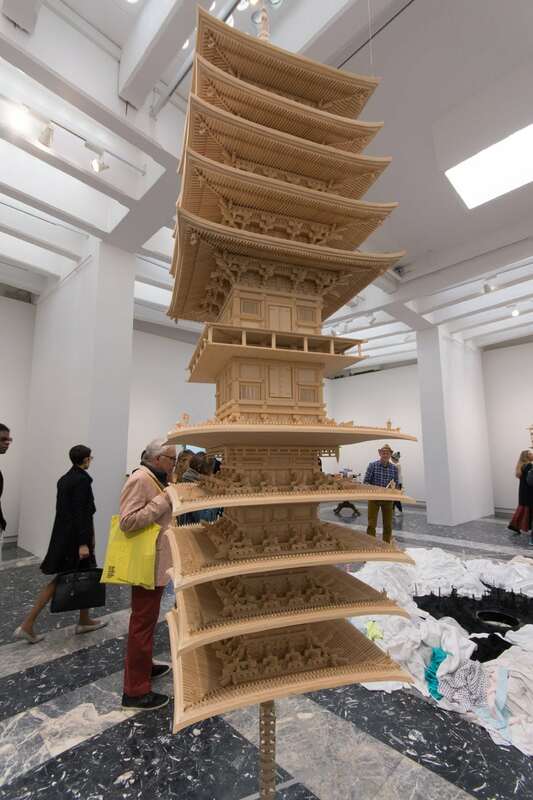 Iwasaki is renowned for its works, though which he transforms apparently banal materials and residual object into surprising sculptures, meticulously conceived and built. Overall, the work of the Japanese artist is characterized by the inclusion of elements which are not physically present within the artwork, yet that are an essential part of its identity – such as water in his reflection model series -, by a constant contrast between order and disorder, and by a profound interest in environmental and social issues. The exhibition curator Meruro Washida, explains how the artistic vision of Iwasaki is intimately linked to him being born in Hiroshima. Entitled Turned Upside Down. 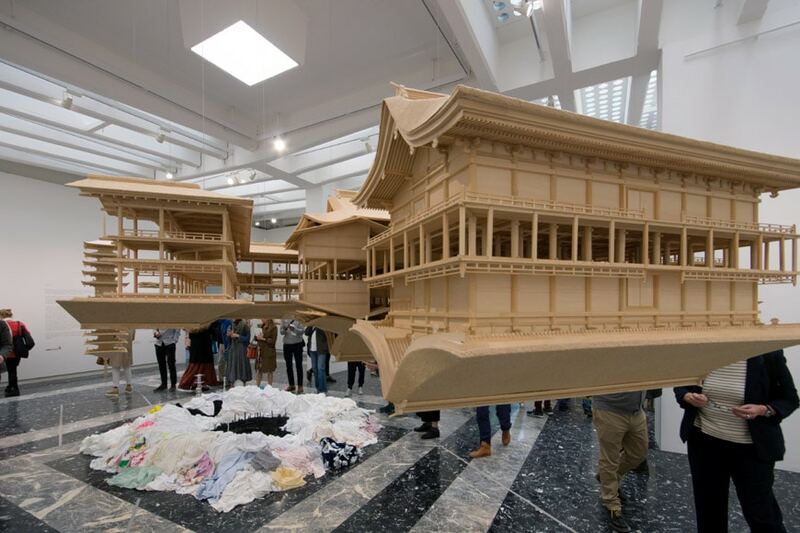 It’s a Forest (a title which refers to Venice being built on a multitude of timber stacks), the exhibition presents seven sculptural works and installations some of which Iwasaki specifically conceived for the 2017 Venice Biennial. Works on view can be roughly divided into three main families. 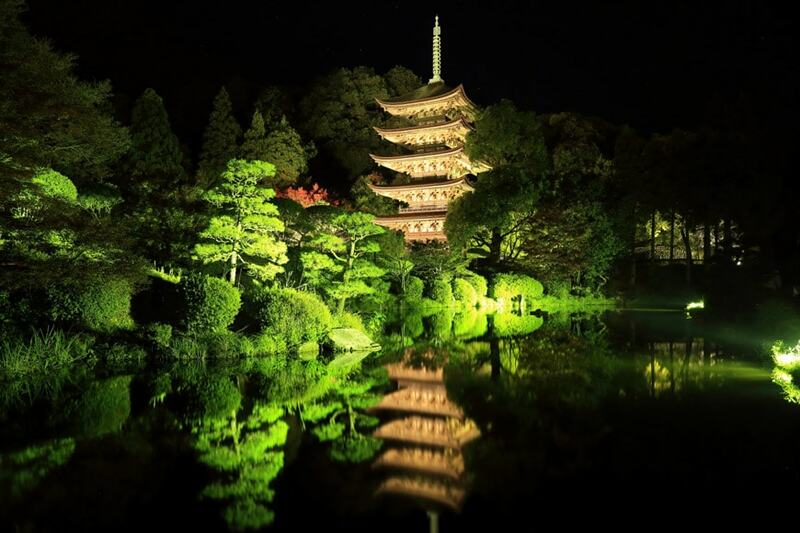 The Reflection Model series comprises architectural models of really existing Japanese temples, mirrored upside down to re-create the presence of the body of water which the original buildings stand upon as a reasoning about the concepts of reality and ambiguity. 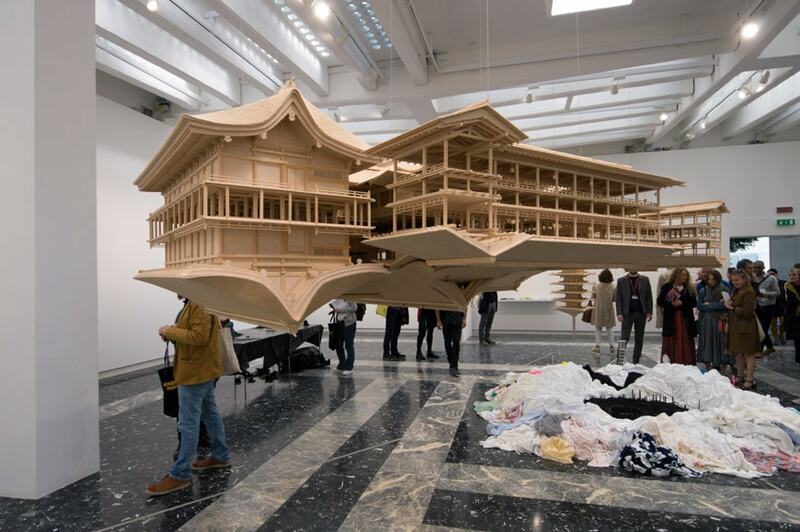 To further emphasize such idea, the models are made in the same wood (Japanese cypress) of the real buildings. 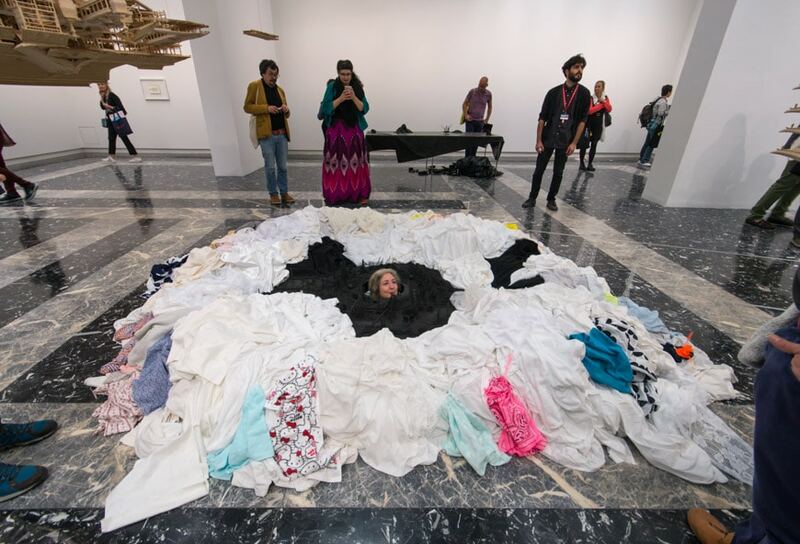 The three works of the Out of Disorder series presented in the pavilion are all constituted of an apparently unordered ensemble of humble objects – towels, sheets, clothing, plastic boxes, straws, deck brushes – which are actually carefully arranged and modified to create urban and natural landscapes the visitor can “visit” though an array of manholes cut in the pavilion’s floor. 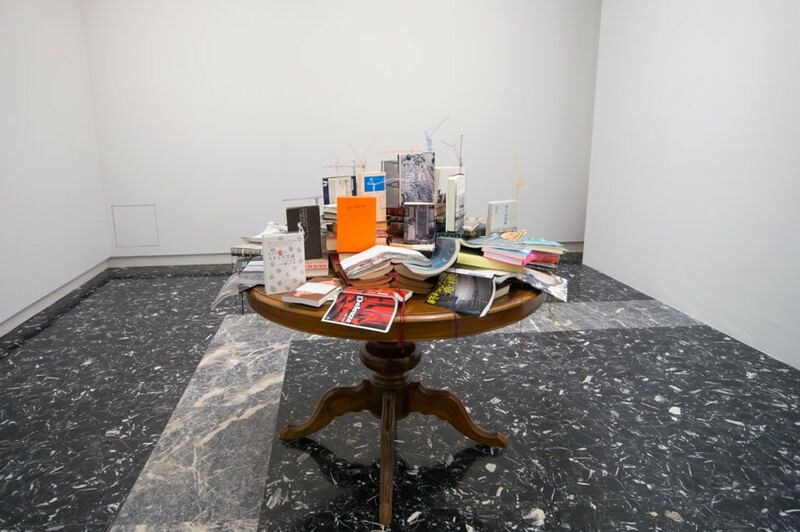 Finally, the work Flow, part of the series Tectonic Models, is made of a stack of scientific books which unstably rests on an old table the artist found in Venice, arranged to resemble a building under construction in order to symbolize the instability of the Earth’s crust and, more generally, that of our social systems.